The latest generation of the Atlas Athlete on the left and the prior generation on the right. The new bag is a large and the older version is a medium, hence the difference in height. This post straddles the “Creative” tab and the “Adventure” tab, but I went with Adventure for an important reason. When I see someone wearing one of these packs, in my experience, they turn out to be adventurous people who live truly interesting lives. I like this about my pack and my pack community. I feel like if I was broken down in the backcountry and an Atlas Pack user was driving by and saw MY Atlas Pack they would stop, help, tow me, dig me out, bandage my head, splint my fractured leg or maybe even perform an emergency tracheotomy with a spork. You know what I mean. 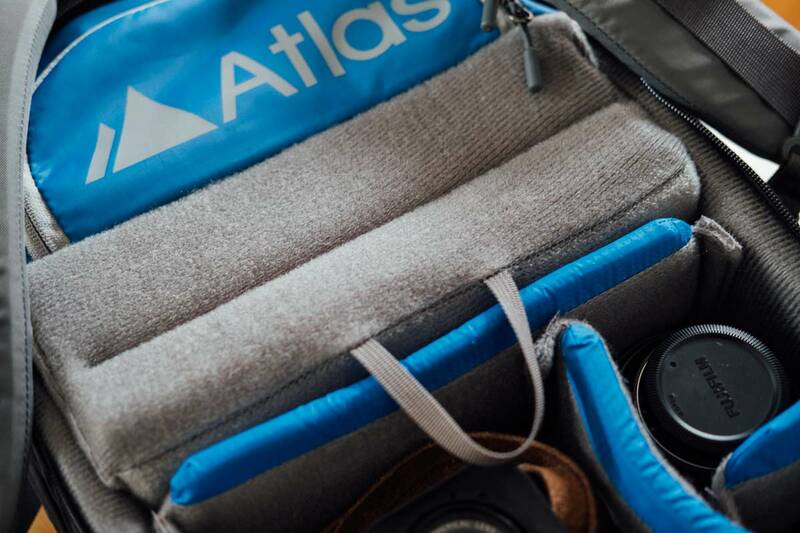 Atlas is about lifestyle, adventure, community and practical application. Not everyone needs a pack like this, but those who do know a good one when they see it. The front of the older version with grey panel. The front of the new version, in black. So far I’ve used this pack in a multitude of ways. I’ve traveled with it domestically for Blurb, carrying laptop, iPad, full Fuji system, clothes, books, etc. It works well, handles well and is comfortable with all that weight even during long airport slogs or when the BART is broken and I’m hoofing it through the wilds of inner Oakland. Also fits under the seat. I’ve also used it during contract work which had me making short films, doing interviews, etc. This required me to add my audio rig to the pack, which it handled easily. Remember, the backside of the pack holds the gear while the front side is a fully open, fully stuffable top loader with laptop sleeve. I’ve always loved top loader bags because of their capacity, and this one is no different. 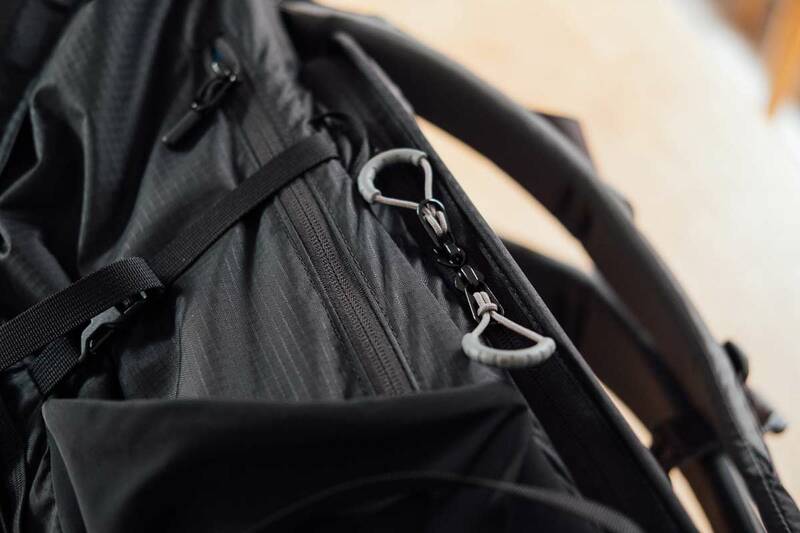 The zippers on the new version are as smooth and effortless as any bag I’ve ever had. One handed operation to zip and unzip. My other adventures with Atlas all revolve around adventure. I’ve hiked Santa Fe Baldy carrying my equipment, food, rain gear and a random assortment of binoculars, archeology stuff and even my shortwave radio, just for fun. 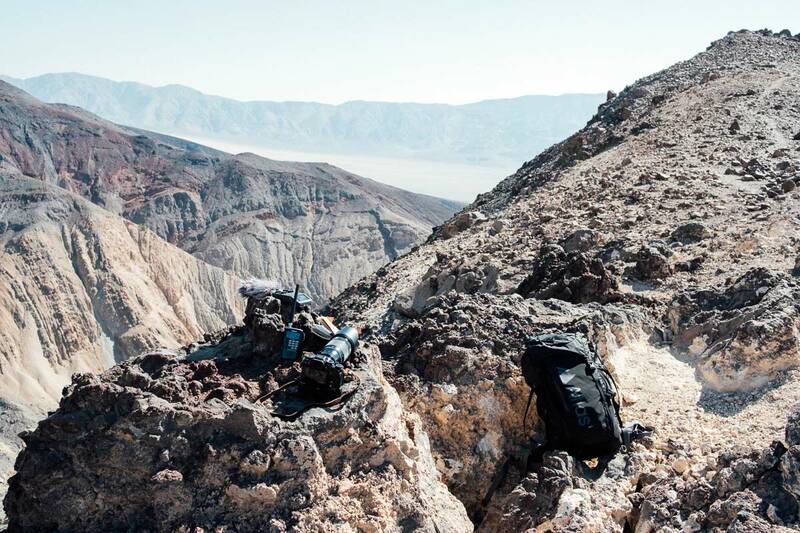 Add to this list of adventures both Anza Borrego and Death Valley where I’m using the pack to transport my gear to a specific valley where my new project lives. Uber hot, exposed, craggy and as dusty as any place I’ve ever been. The Fuji system, WATER, food, emergency supplies, police radio, binoculars, etc. all humped up and over those hilltops. The new version has a deeper gear well, so my beloved XT2’s have space above and below. My only issue with these packs, and I have both the Athlete and the Adventure, is that I don’t get as much time to use them as I’d like. I keep a spare Atlas in my truck to remind me that I should be OUT doing MORE. As for wear and tear, my packs look brand new, even after their adventures, mud, dust, rain and damage that only the brutal backwoods of Newport Beach can summon up. 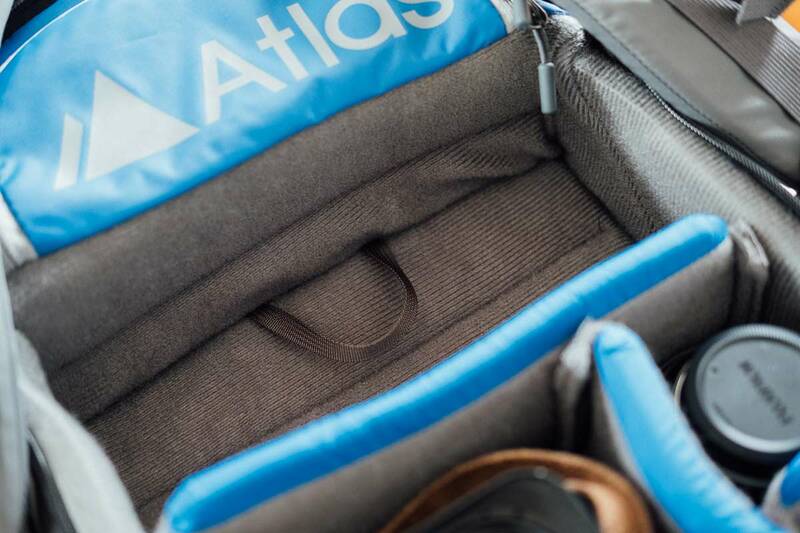 Small Atlas pocket allows me to access the front side of the bag. Being the good photographer that I am I’ve already pestered the Atlas crew about making something else. A daypack. Yep, I want MORE. I carry a backpack every single day. All day. I no longer carry a shoulder bag as I find it hurts my back, so the backpack it is, and I have demands. Carry two mirrorless bodies, with lenses, and ONE extra lens. Batteries, charger, journal, book, flashlight, pens, phone, etc. The usual suspects. Small, light, streamline. A guy can dream right? If you are someone who “goes out” then you need to take the time to investigate Atlas Packs. 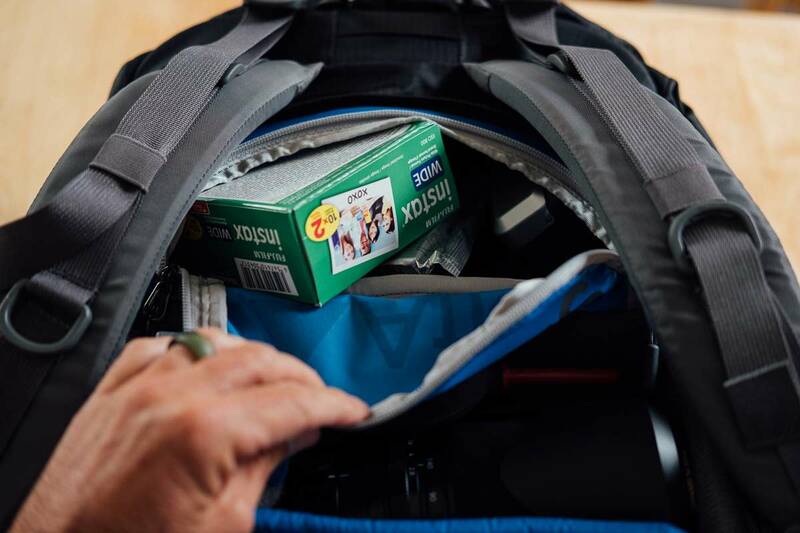 As you know, I don’t spend a lot of time writing about equipment, but I like these packs which have helped me get done what I need to get done. The “Origami Camera Core” is changeable allowing for resizing of internal layout. I used to have the front side of the bag as the main compartment, but after buying my 50mm-140mm 2.8 I now use the full potential of the camera core. Additional list of features from the Atlas site. Origami camera core can be reconfigured between camera core and non-camera section of pack. The ultimate in comfort. Air vented mesh backpanel, overbuilt harness and suspension system. Room for two tripods (one on each size of pack). Built in water hydration pocket with dedicated tube routing through back of pack. Quickdraw hip pockets hidden into sides of waistbelt. You saw this image before, but this is my last outing with the pack. Dan, the challenge I find with relatively large bags like this, is that they are great getting to a location, but once there I try to become more minimal and thus, want that daypack. So, when traveling via airports, this kind of bag is great. But, where do I store the daypack if I am focused on carry-on? I now have two packs to manage or do we assume we give up on only carry-on, check a bag that contains the daypack? Now, if I want to hike with large amounts of gear, then these are also great. The only solution I have found is to (1) carry the daypack as carry-on and fill with some essentials, (2) have a modest rolling Think Tank bag for the system, and (3) check a bag of clothes, etc. Once there, I repurpose the daypack and use to tote the more minimal camera gear needed for walking and short hikes. 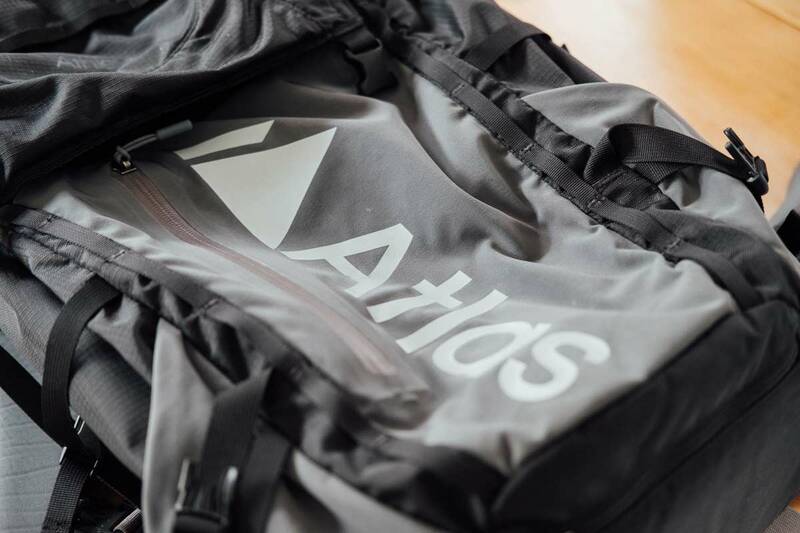 Again, if I needed to carry large amounts of gear for a long distance, an Atlas like pack is good. As usual, there is no perfect bag. Today’s favorite setup for me is the Think Tank Airport Advatage (rolling) and a Mystery Ranch Coule 25 (great harness system) as the daypack. Inside the Coule 25, i use 1-2 of the Zoid cell bags from Mystery Ranch to hold a medium format Fuji with 1-2 lenses, and 1-2 35mm mirrorless like cameras for a day of shooting. You are correct. 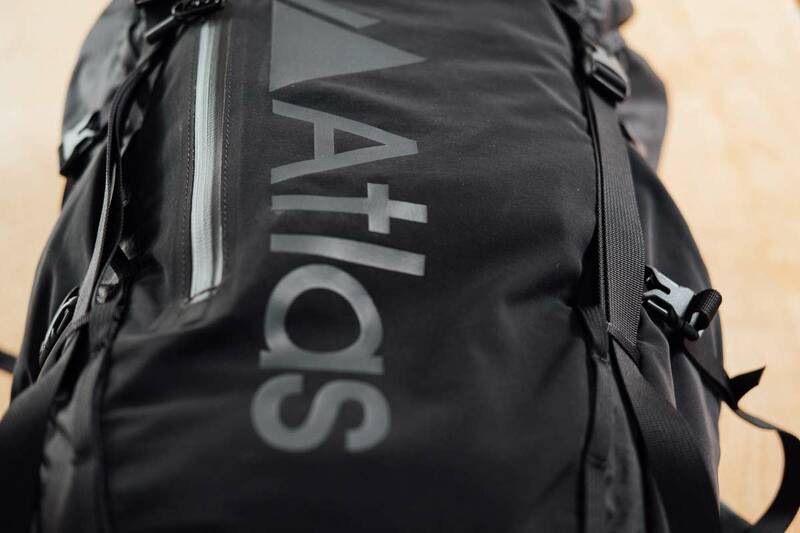 The Atlas packs are not bags you are going to use to say cover a golf tournament. You might use the pack to get the gear to the tournament but you certainly wouldn’t hump your gear along the course with these babies. What I do is put my belt system in the front, top loader section of the Atlas, then when I get where I’m going I pull that out and leave the pack in place. I also pack my clothes in the front. And it all fits under the seat. I don’t use rollers much anymore because I travel to a lot of places where they are just a pain to try to use. Even my normal travel bag is a Cotopaxi backpack, which also holds my daypack for when I get where I’m going. Everyone has a different system, but if you are someone who needs to get your gear out and into the wild the Atlas packs are great. Hi David. Thanks for your comment. I think you’ll find that our Athlete Pack actually meets your needs if you take a closer look. The pack is actually quite small (by comparison to other camera bags – and light too). It also shares many of the features you love about your Mystery Ranch with the added benefit of a camera core already built in. 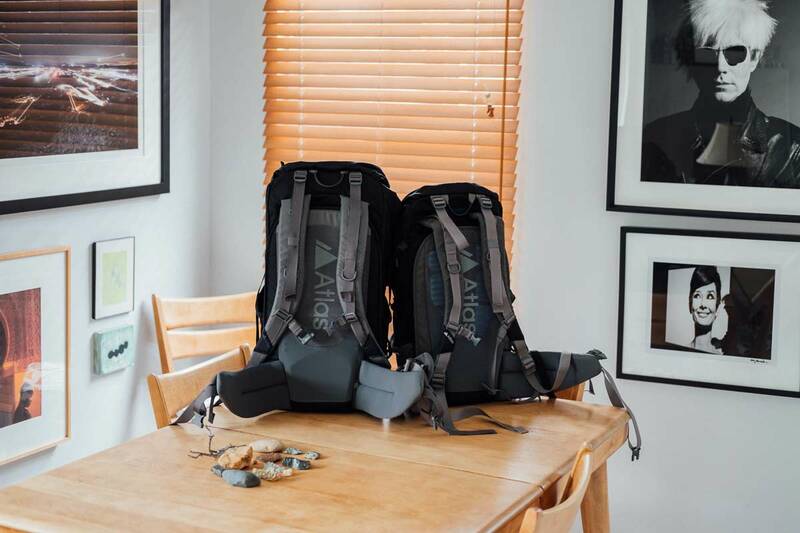 One of the main drivers behind the design of the Athlete is how it can shift between “day pack” size of about 20liters to “adventure size” about 40liter. The Athlete is great for both getting you to a location and also working out of when you are there. It’s modular. You can break this pack down just like you break down your gear. The waist belt and aluminum frame can be removed as needed. 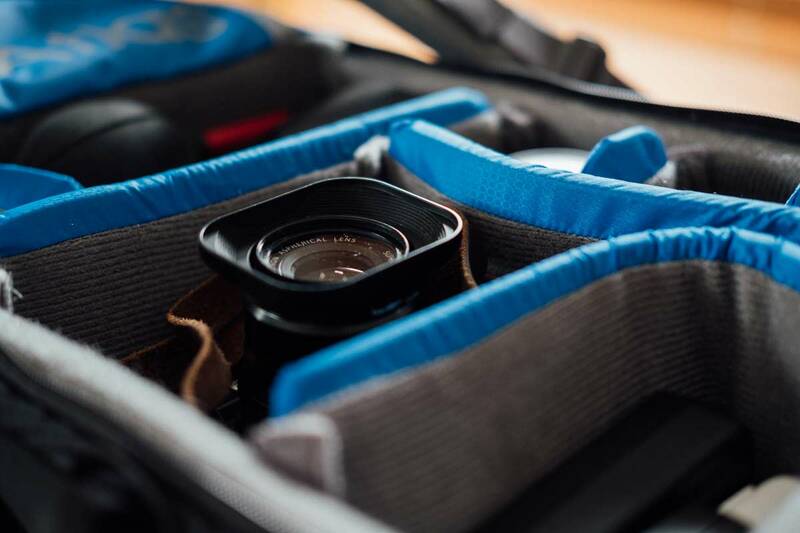 You can literally crush this pack down to just the camera core (about 12″) kinda like a “rucksack” if you wish. Hopefully this helps and thanks again for your comment. We are just as passionate about bags as you and constantly in pursuit of perfection. Spoken like someone who knows the bag intimately. I just spent two weeks in New Mexico with mine, and will be going back in near future. Have yet to find something I don’t like about this bag, not that I’m looking. Maybe if all packs shipped with 8×10 glossy portrait of me? How is the hydration compartment? Any experience using? How is balance with hydration and tripod attached? I have two different bladders, one small, one large. Have used both actually. Works great. Sometimes I carry bottles, but have been using bladders more and more. I hate tripods, but when I do use one I use the side pockets and the side straps to hold it in place. Works great. I am in the market for a newer, lighter tripod, which comes in a small bag, so I’ll probably tie it on to the Atlas in some way. The bags are totally balanced. They feel like backpacking bags, so no issue there. I’ve used them on 7-8 hour hikes and never even really thought about how they carry because they just feel like backpacking bags should feel. Sometimes when I fly I take the waist belt off and they still carry well as the shoulder straps are solid. And now that I’m doing motion I’ll be using the larger bag more and more. Great post. You wrote that this fits under the seat in a plane. Can you confirm that this pack works as a personal item on a plane. and allows you to carry an additional carry on bag? If possible, i’d appreciate some photos with you wearing the bag on your back, with your height listed. Just wondering if this bag is too big or not. Let me answer as best I can, and hopefully, Allan will comment as well. He’s the man behind the bag. I’ve carried the Athlete onboard many times, with a second bag in tow. Allan actually carries the larger version, the Adventure, on as well. I have personally never done this as I only use the larger bag for my truck based adventures. There are two sizes of the Athlete. I have the larger of the two, but would have been totally happy with the smaller version. I am 6.0′ tall, so the larger bag fits my back perfectly. I would have been happy with the smaller bag but mostly because I don’t have that much equipmenet. As you will see, they give you specs on body type for pack size and waist belt size. 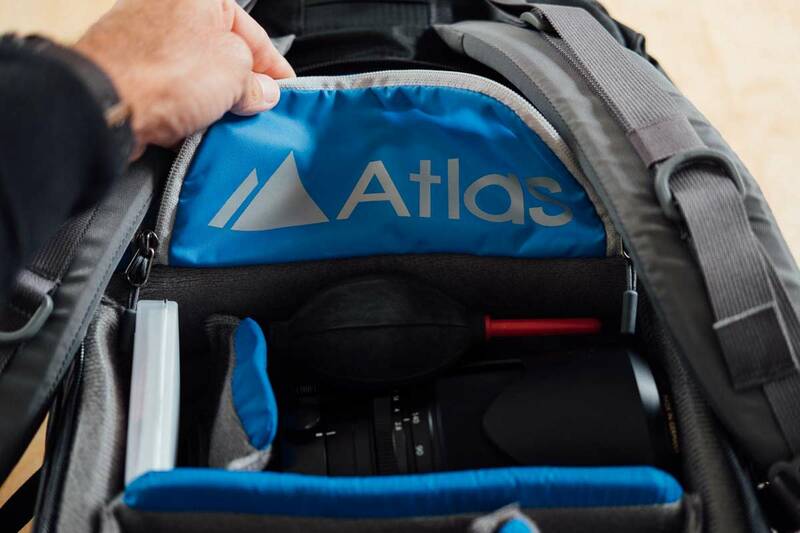 https://atlaspacks.com/collections/atlas-packs/products/atlas-athlete-camera-pack# Let me know if that helps. Also, my leanings on bags is that I always, if in doubt, opt for the smaller bag. Most of the time I end up carrying too much stuff, so smaller bags force me to make good decisions. This applies to all my bags. Suitcases, hardcases, duffles, etc. I’m famous for packing my clothes duffel to the brim then getting to the location and I wear the same clothes for five days then end up wondering why I packed so much. Hi Sid. Thanks for the comment. I’m not up to speed on all the rules and regs for airlines and don’t want to tell you something that turns out to be incorrect. I can confirm that the Athlete Pack is sized to go under the seat. What other bags you can / cannot bring on a flight is up to each airline.